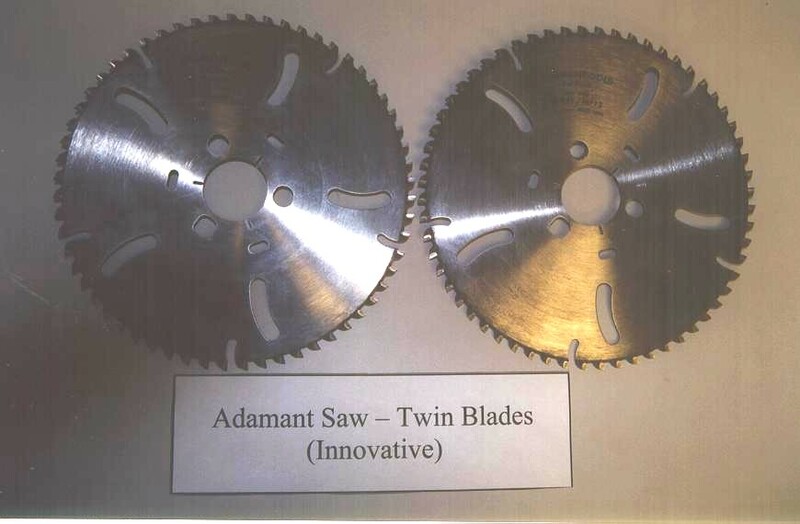 The ADAMANT saw is considered a revolutionary concept, with the synchronized action of two saw blades rotating in opposite directions thereby neutralizing reaction forces. Technical specs are 120-V, 60 Hz, 15 A, and 1,900/2,900 RPM. Standard equipment for the ADAMANT saw includes a feed rate push button, protection handle, soft start, and an electronic quick stop. Without vibrations or kickbacks, the ADAMANT cuts fast and smoothly through most materials. 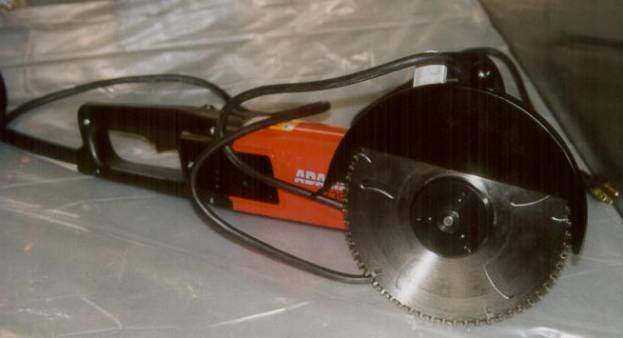 The ADAMANT saw incorporates a unique design for its carbide tipped saw blades. Since it actually is cutting through not grinding, the machine is efficient and cost-effective. The ADAMANT is protected against overloading by an electronic device. If the motor current becomes too high, a diode is lit on the handle. If the cutting speed is not reduced to avoid overloading, the saw will automatically shut off. Restarting the saw is done by turning the power off and then on again. ADAMANT is fast and powerful tool. It could be a very potent tool for the size reduction of glovebox FRP crates. This tool can reach difficult areas where other tools cannot. This tool does not need any auxiliary tool to perform the job. It is mobile but heavy, easy to operate but requires a few hours of training; setup and blade replacement are manageable. This tool is powerful and capable of going through crate materials. The ADAMANT blades can be re-sharpened without noticeably affecting the cutting quality (re-sharpening should be performed by the manufacturer). 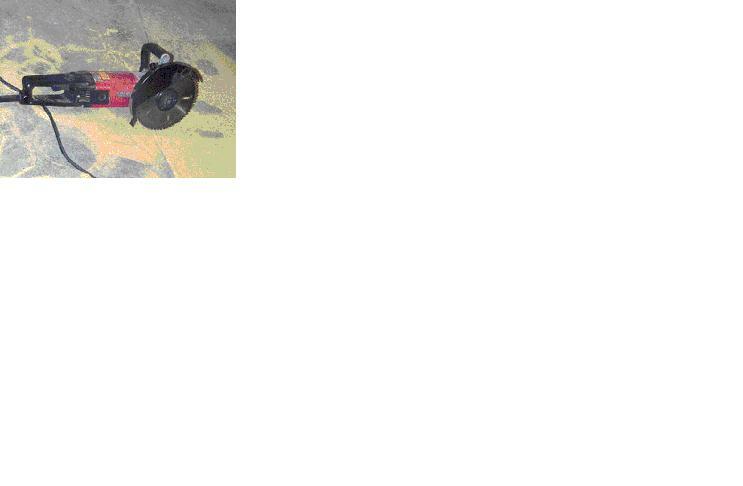 This technology could not be tested in the size reduction of glovebox FRP crates for safety reasons. The ADAMANT saw does not have a safety guard that completely covers its blades when not in use. Even though this tool is widely used in Europe, FIU-HCET, LANL, IT Corporation, and IUOE representatives decided not to test it at this time.